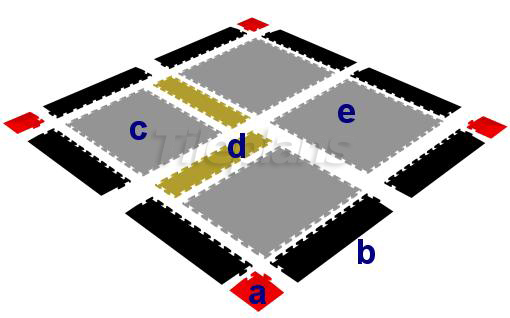 TilePlans PVC Interlocking Floor tiles provide customized flooring solutions for industrial, commercial, domestic and public sector customers seeking long-lasting and cost-effective benefits. Ideal for factories, warehouses, showrooms, shops, workshops, garages, gymnasiums and public buildings – TilePlans PVC Interlocking Floor tiles have virtually endless flooring applications. Our PVC Interlocking floor tiles are so adaptable and versatile that they represent a durable investment – you can easily take them with you if you move premises. • Transform your image with minimum disruption to your business. • Reduce the chances of slips and trips. Our Industrial Flooring tiles, strong enough to withstand heavy vehicle traffic, make them ideal as a Factory floor, Garage floor, Workshop floor, Warehouse floor or Showroom floor. There are also specialist applications such as the Laboratory Floor below. Ideal for any establishment requiring the control of Electrostatic Discharge (ESD) whether a large-scale manufacturing facility or office of intensively used computers. Ideal for any establishment where bacteria accumulates and hygiene is a top priority such as hospitals, health centres, schools and anywhere dealing with food such as processing plants, hotels and restaurants. Established in 1969, our UK Trade mould manufacturing is accredited to the internationally recognised standard ISO 9001 Quality Management System. Rest assured that you can create a truly professional, fitted floor thanks to special tile accessories such as sloping ramped edges and corner pieces. 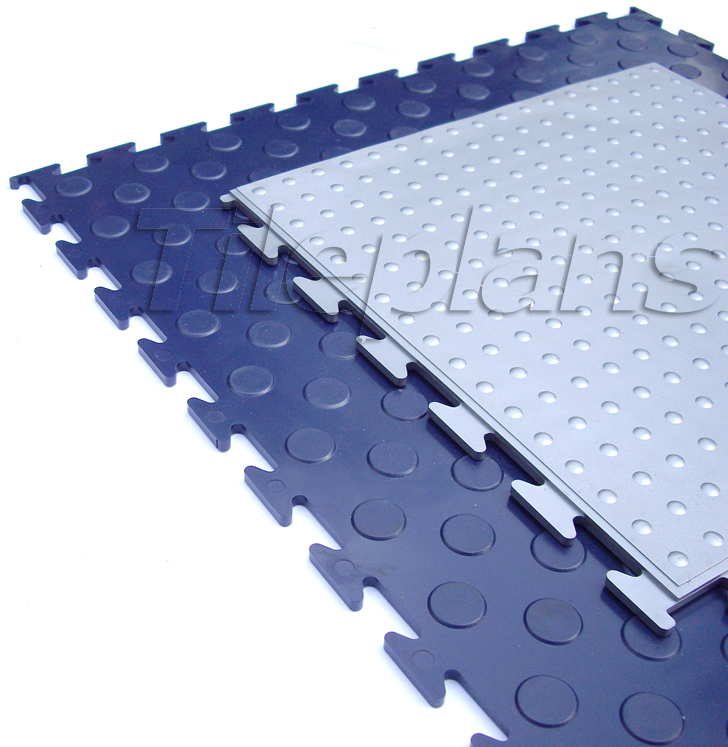 With TilePlans PVC Interlocking Floor tiles you get a snug fit around the edges and you reduce the risk of accidents. Different colours can be used to enhance appeal or meet health and safety regulations, for instance with Line Marker Tiles to clearly define work areas, walkways, hazards or keep clear areas. Logo Tiles can also be used to add important safety symbols or sales messages. Versatility – TilePlans PVC Interlocking Floor Tiles are Easy to Replace.TilePlans PVC Floor Tiles are easy to replace because they interlock and come in standardised sizes. That means you can quickly replace or swap individual tiles or part of the floor – simply remove the old tiles and lock the new tiles into place. 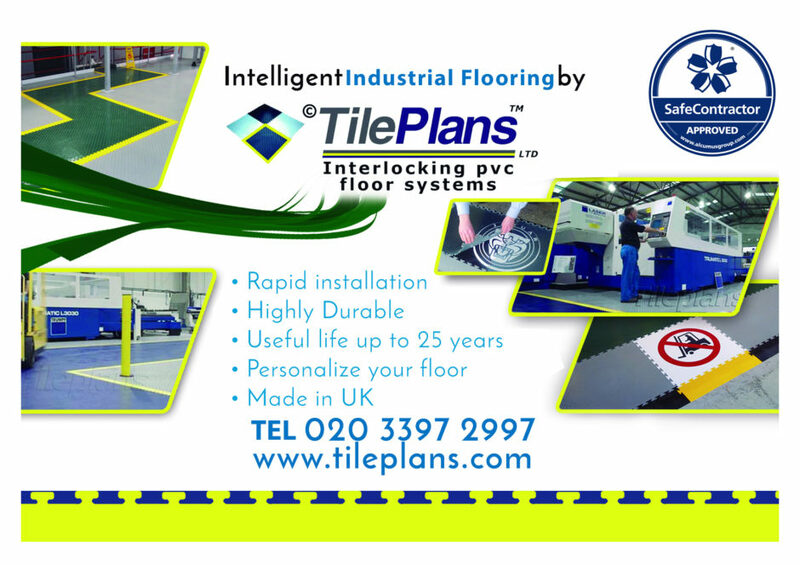 TilePlans’ PVC Interlocking Floor tiles really are a low maintenance flooring system saving valuable time and money. 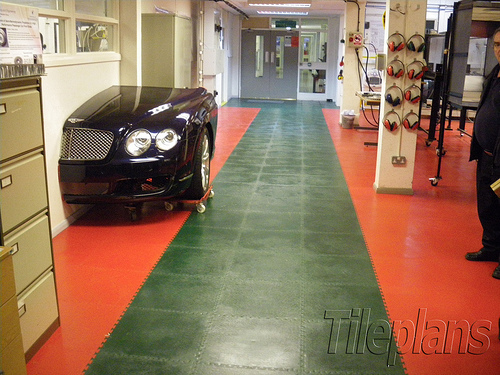 So for Garage Flooring right through to Industrial Flooring requirements contact TilePlans today for an initial consultation. Our national Installation Service is available. Copyright © 2009 TilePlans LTD. All rights reserved. Unless otherwise indicated, all materials on these pages are copyrighted by TilePlans LTD. All rights reserved. No part of these pages, either text or image may be used for any purpose other than personal use. Therefore, reproduction, modification, storage in a retrieval system or retransmission, in any form or by any means, electronic, mechanical or otherwise, for reasons other than personal use, is strictly prohibited without prior written permission. Charges apply. General inquiries should be directed to our contact page and details. This entry was posted in Industrial Flooring and tagged Australia, Industrial Flooring, Industrial Flooring Solutions, Interlocking flooring, Interlocking flooring tiles, Interlocking PVC Tiles, Line Marker, Perth, PVC Floor Tiles. Bookmark the permalink.